When things seem to be wrong with your web designs, it is good to know basic ways to fix some erroneous web designs. Websites are dynamic because they connect you to the world. Because of this, your web designs should be attractive. Whether your business is a small or a big one, web design makes people decide if they will continue exploring your online showcase or leave. 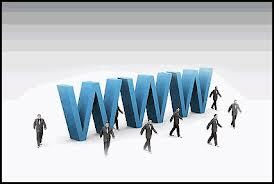 Erroneous web designs, no matter how small they can be, can result to unfavorable results to your business. • Having a non-standard web format. The website that you have may look great to you but it does not mean they look good to others. There are instances that websites appear differently in other browsers. The best thing to do is to check your website by trying it with various search engines like Google, Firefox, and Internet Explorer. HTML is one of the most popular website formats. When you do not use the standard web format, chances are your web page may appear to be very wide on the viewers’ screens. These potential clients may miss something very important in your site. You can try going to validator.w3.org and connect your URL. Problems may appear and they will advise on the erroneous web designs and structure you need to repair. • Having too much information in your website. Relevant information is necessary to let your potential clients know what you are offering and how this can benefit them. But it becomes annoying for them to go through a long process when they start buying your items. Erroneous web designs like this should be avoided. You can try using the Google Analytics to fix this erroneous web design with a lengthy process. Reduce the process and use simple options. Adding maps and clear instructions that can assist your potential customers find your business is a big help. • Having some “hidden information.” Take note that the significance of your website to your potential customers is informing them what you are offering, how your business works for them, and how you can be contacted. See to it that your website has simple and clear descriptions with important contact information of your business. Avoid using hyperlinks on your email address that makes it open Outlook on your customer’s screen. Not everybody is using Outlook. Again, use simplified process. • Place trust indicators like certificates on your website. When your website is an e-store, you usually ask your potential customers about their credit card numbers and other personal information. But remember that no one does business with people whom they do not trust. Reputable companies place some indicators that they can be trusted like approval certifications, memberships on legitimate associations, and consumer ratings. Try showing a certification from a security socket layer or SSL and watch how your website becomes functional. Always build your customers’ trust on you. Erroneous web designs can result to unfavorable results like potential customers leaving your site even before knowing your business. Be creative in your designs but make it simple, clear, and easy to use. 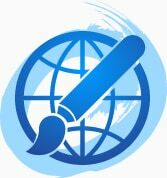 Creativ Design has a team of professional experts on web designing who can help you create designs that can draw people to your website and leaving your site after buying an item. You can email them by pressing here or call 1 300 055 867 for free consultation.